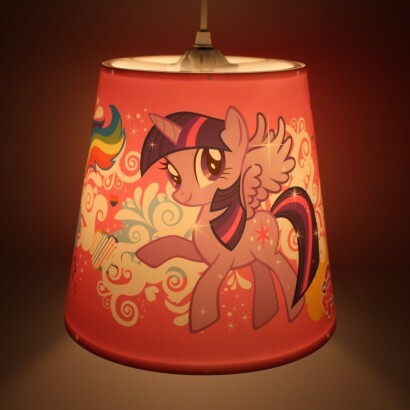 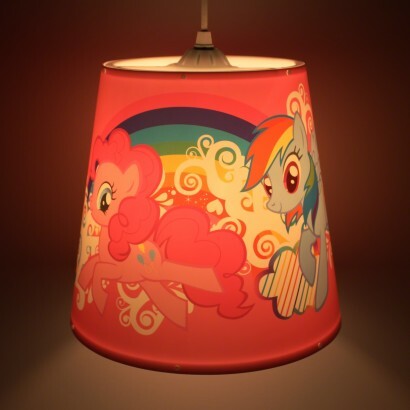 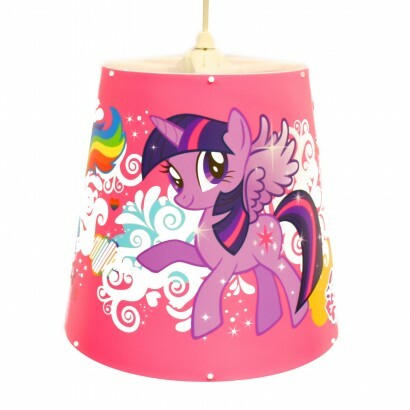 A colourful My Little Pony pendant lampshade featuring 'Twilight Sparkle', 'Rainbow Dash', and 'Pinkie Pie'. 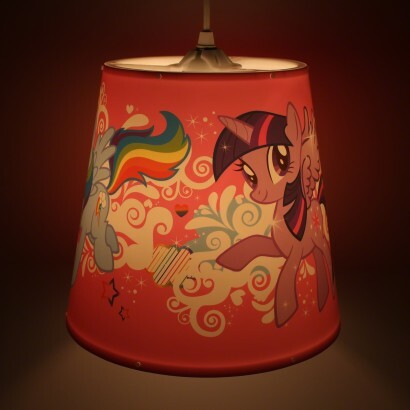 Made from Polypropelene so incredibly lightweight and easy to clean, a simple wipe with a damp cloth with and it will be shiny and new again, unlike some fabric shades. 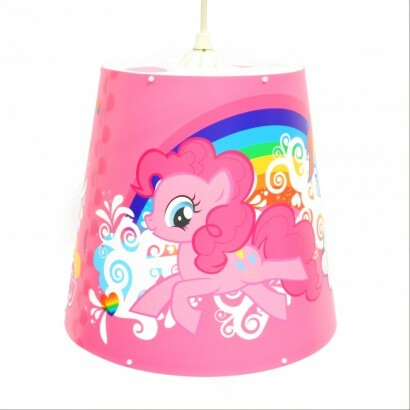 The pendant lampshade is accredited with Spearmarks 'Easy Hang System', which means no need to remove lightbulbs and takes a few seconds to fit! 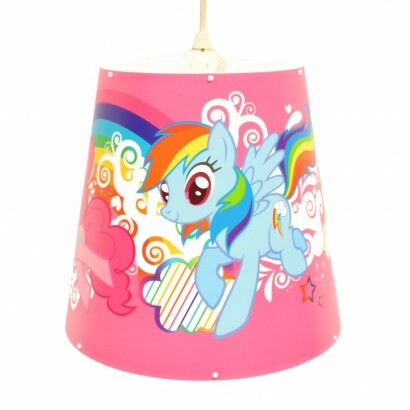 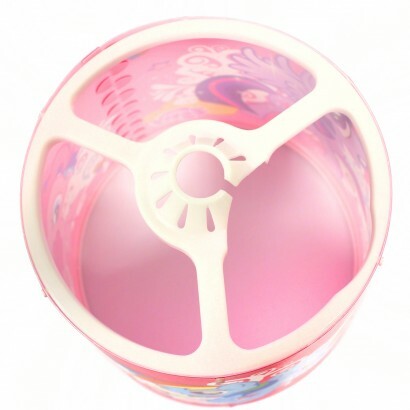 A quick and easy way to add some instant pony glamour with this vibrant and cheery shade, ideal for children's (or any My Little Pony fans) bedrooms.